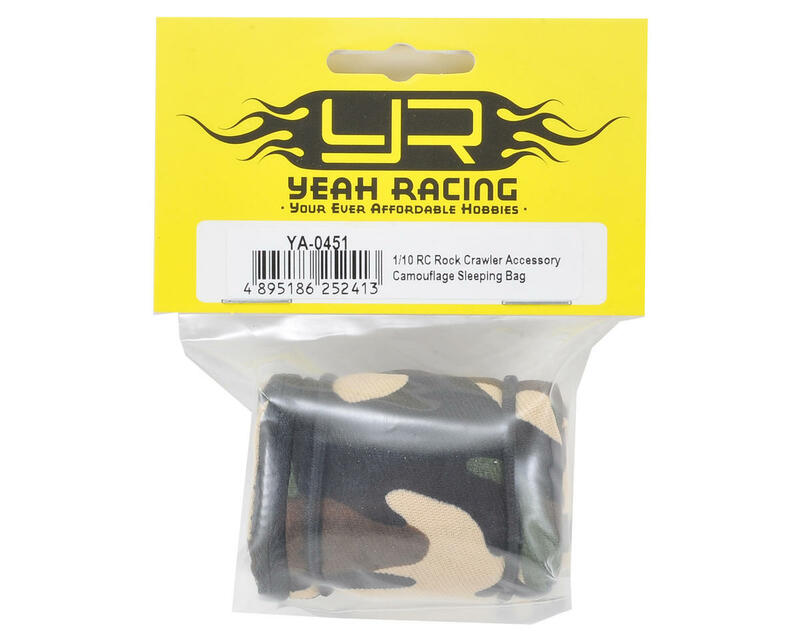 This Yeah Racing Scale Sleeping Bag is a great accessory for your ever expanding roof rack of scale items. 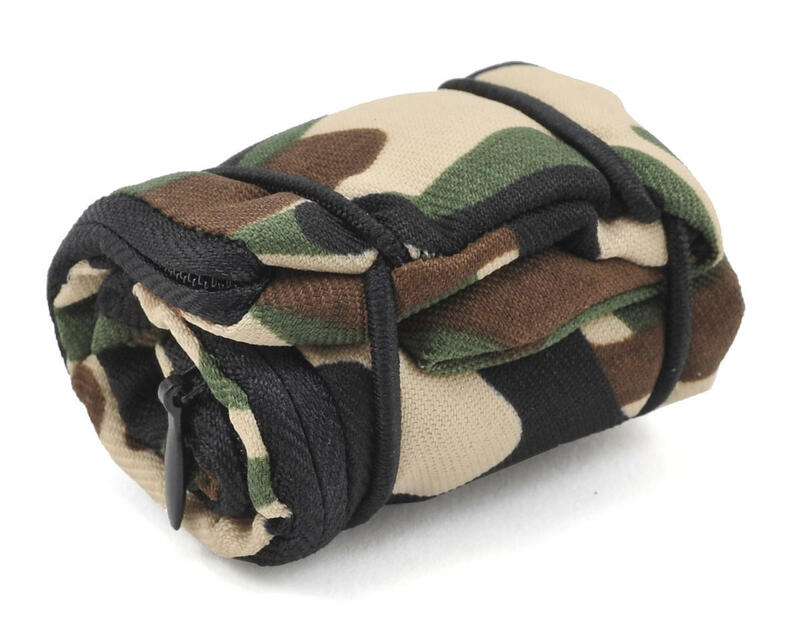 In addition to the cool camouflage pattern, the sleeping bag includes two bungee type wraps built-in so the sleeping bag stays wrapped up and locked without any other accessories. 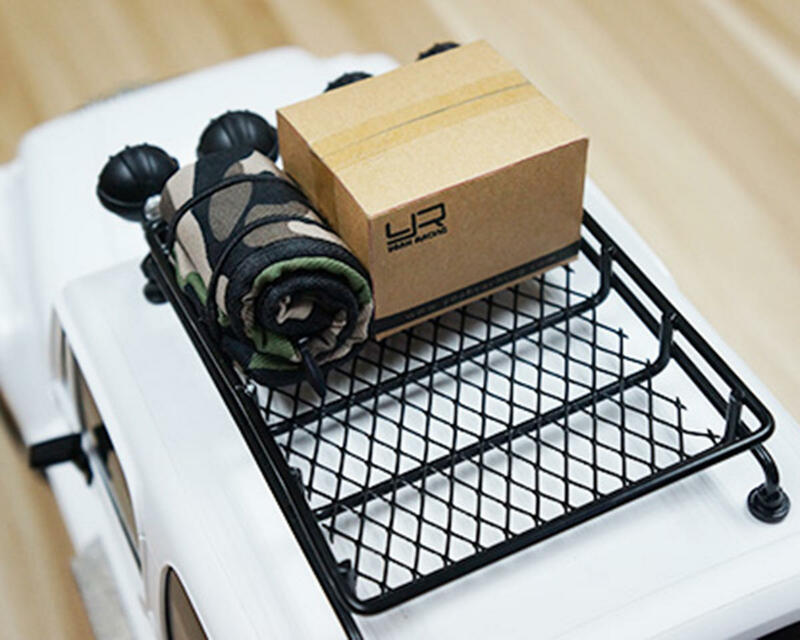 When it's time to roll out the bag, a zipper along the side allows easy entry just like the real thing! 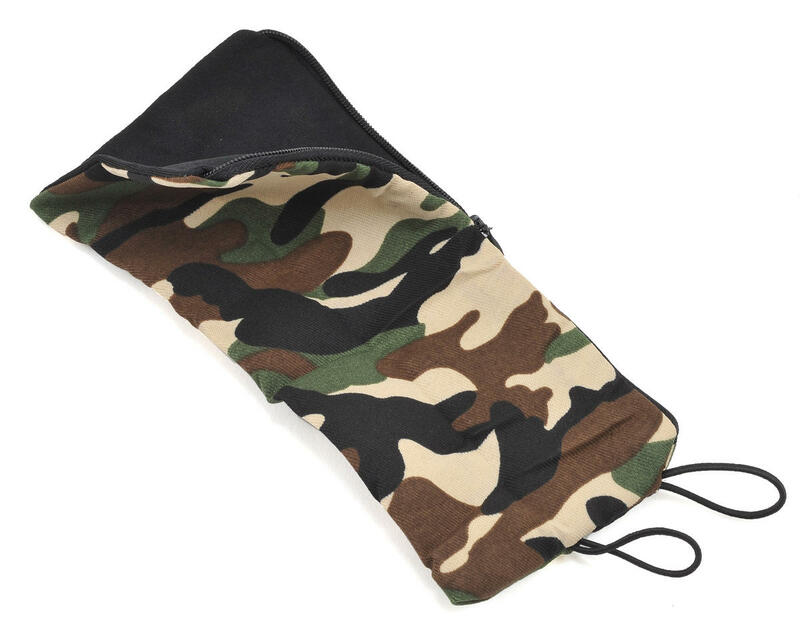 This sleeping bag is a must have for all scale crawlers.